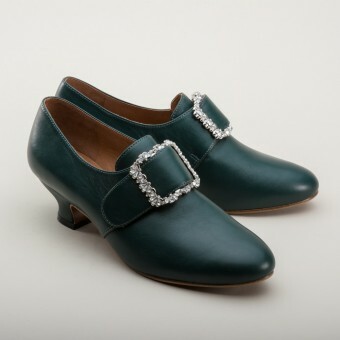 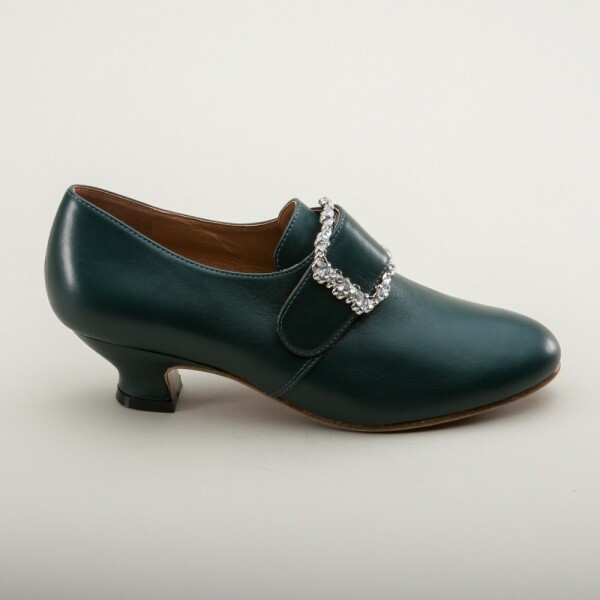 Kensington 18th century shoes are now available in a wide range of colors, sizes, and widths! 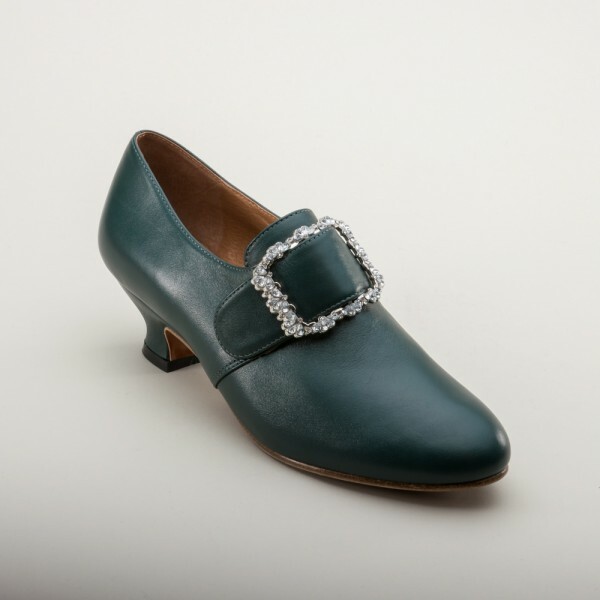 You'll adore these soft dark hunter green leather Kensingtons, perfect for pairing with your gorgeous sacque or Italian gown of the 1760s through the 1790s. 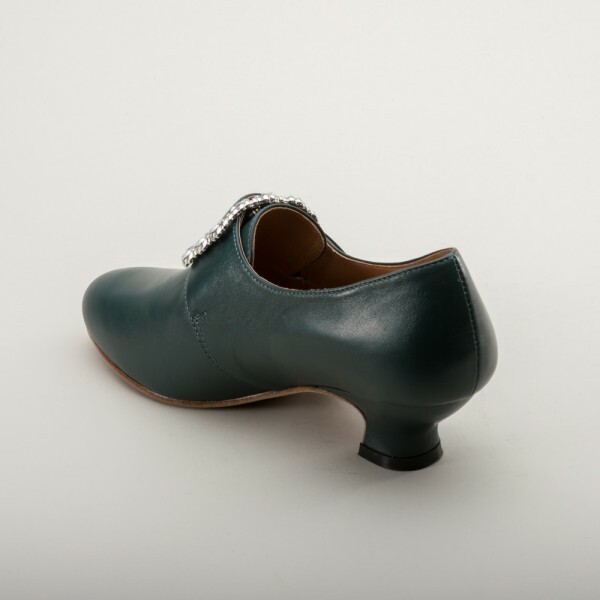 Kensingtons feature our custom-made French heels, hand-sewn uppers, and adjustable latchet closure. 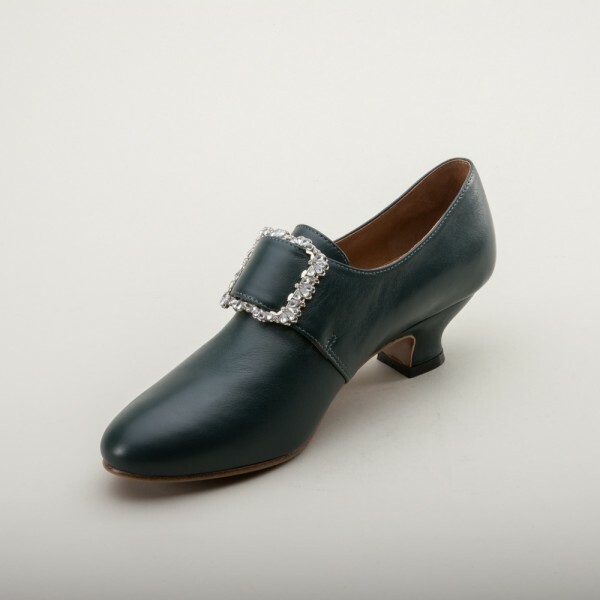 Kensington do not come with buckles, but they qualify for a discount when bought together. 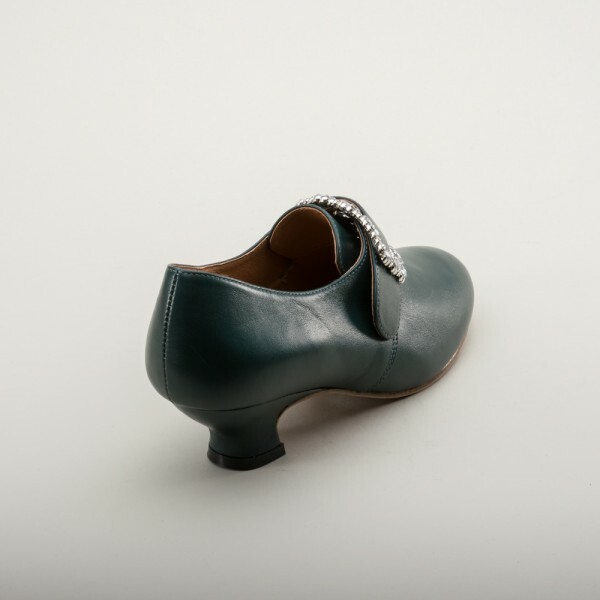 You can find our 18th century shoe buckles in the accessories section. 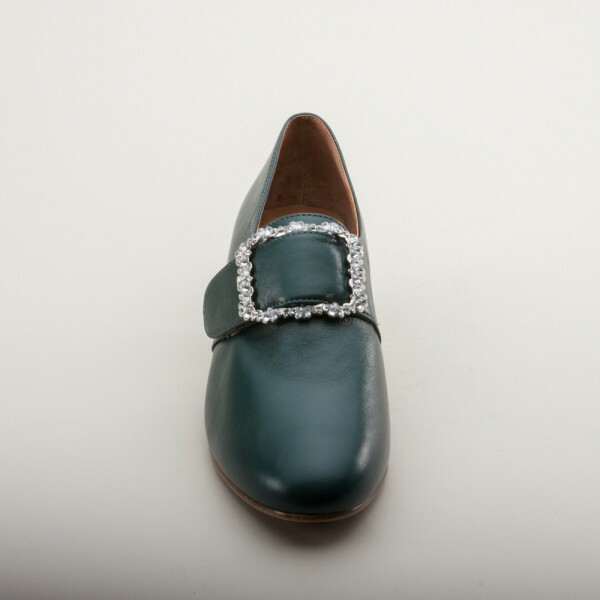 Please read our Buckle fitting instructions or watch our shoe buckle fitting video for more information.